So i was sitting around yesterday (it was a rainy day, y'know the usual-freezing, pouring and just plain boring) and i dug up a stash of my old disney movies. I watched The Little Mermaid, Aladdin & last but not least Pocahontas. It's so cute seeing people at anime cons dressed up as Disney characters, i myself got all excited at AX after bumping into peter pan and ariel (i know! xD) so i got to thinking that i'd love to do a disney cosplay myself. 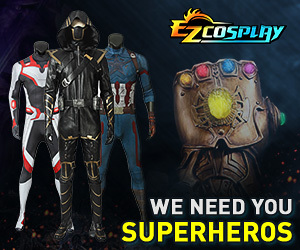 so which costume would you want to make the most? btw, thanks! yep that's me, and the character is really BlackRose from the .Hack// games. well, I cosplayed Wendy from Peter Pan, and that was an absolute amazing experience!! I went outside to go grab lunch and a bunch of kids mobbed me, asking if I could tell them a story, or wheres peter? It was great! I know what you mean. I'm told that I look like Ariel a lot so sooner or later I'm going to make the little mermaid costume. Good luck with your Pocahantas one! If that plans falls through, I might do Peter Pan. XD Oh, and if anyone wants to make easy Disney costumes, check out this website: [url]http://www.whatsitsgalore.com/disney/costume.html[/url]. Peter Pan, Aladdin, Daffy Duck, Goofy, Tinker Bell and Mickey should be pretty easy, too. I'm about to start work on Megara from Hercules for FanimeCon. She's been my favorite Disney character for the past 10 years, when Hercules came out. :bigtu: I was so happy that she was in Kingdom Hearts II, because it justified me cosplaying her at a con. :D! Megara is my sister's favorite Disney character. It'll be very interesting to see how your's turns out. I look forward to it! I did Peter Pan on a bit of a whim, and was totally floored by the huge response it got at ALA. So many people were excited over it, and by the end I was too XD It's so fun to do his poses. I plan on doing Alice for Halloween. Much fun. I'm just dying to see myself as a blonde. I love seeing Disney cosplays. Too cute. I really would love to do Megara, but I think Alice would be a better choice for me. We'll see!